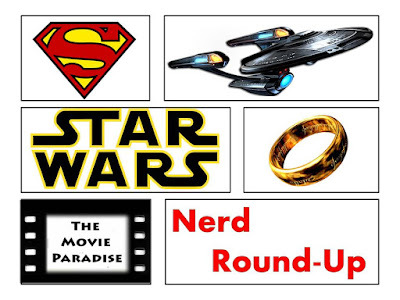 Star Wars Episode VII: The Force Awakens aside, Batman v. Superman: Dawn of Justice has to be the most anticipated film for nerds. It will be the first time the two most iconic superheroes ever share the silver screen, and is a major milestone in DC's planned cinematic universe. It will also serve as an introduction to many major characters, such as Wonder Woman (Gal Gadot), Aquaman (Jason Momoa), Cyborg (Ray Fisher) and the Flash (Ezra Miller). A lot rides on this film not just succeeding at the box office (which no one doubts it will), but it actually being a good film as well. The past two trailers have really won fans over, and now a third one is on its way. When I first heard that they were thinking about making a Rocky spin-off film, following Apollo Creed's son, I thought it was a stupid idea. They've made five Rocky sequels, and none of them have come close to being as great as the original, Academy Award winning movie. It's time to put the franchise to rest. But the more I was hearing about the spin-off, the more interested I became. 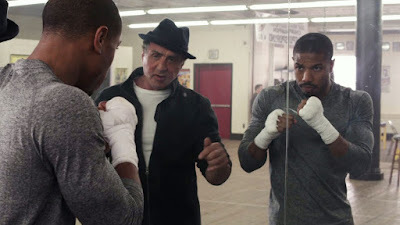 Rocky (Sylvester Stallone) would be taking on a mentor role, and wouldn't actually fight (in the ring, that is). Fruitvale Station's director Ryan Coogler and star Michael B. Jordan were brought on, and suddenly this film became a lot more credible. As the film got closer to release, hype began to build to the point where I was through the roof excited to see this film. While it didn't quite meet my unrealistic expectations, Creed is an awesome movie that is definitely more than just a spin-off, but rather a great retelling of the classic Rocky story. As we near closer and closer to the end of 2015, more films from earlier in the year are becoming available to watch on streaming services. Thus, I am able to catch up on movies I had missed from earlier this year. So in this reflection series, I will be giving spoiler-free reviews to films I am catching up on, as we near the end of this great year for film. 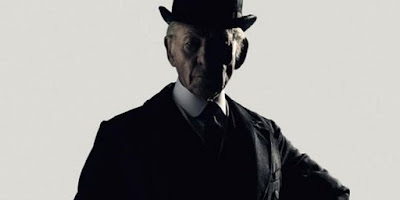 So, let's jump right into this review for Mr. Holmes. Mr. Holmes focuses on an elderly Sherlock Holmes (Ian McKellen), who suffers from alzheimer's disease. As he "enjoys" retirement, he struggles to solve his final case, the one that he screwed up so bad that he went into self-imposed exile. The film focuses on the 90 year old Holmes, as he tries to remember what happened in order to solve the one case he could never figure out. 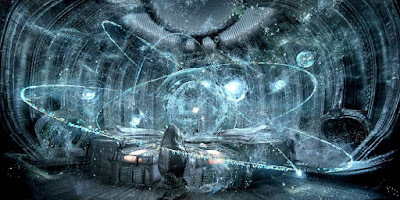 I have written articles before about how original films are vital to the existence of the film industry, as they are the ones to take the jump and introduce new ideas and innovative creativity. You can read my whole editorial on that here. But this is an entire different level. Advertised as the film you'll never see, director Robert Rodriguez (Sin City, Spy Kids) has made a film titled 100 Years that won't be released for a little while... meaning a hundred years. That's right, this film won't be released until 2115. 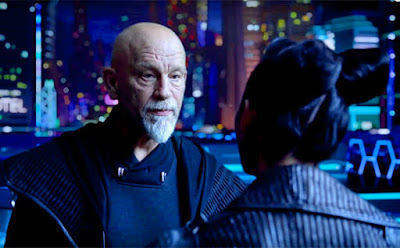 The film was written by and stars John Malkovitch. The film has been placed in a time capsule that will not open for another century. "This is the first time I've done anything like this. I was intrigued by the concept of working on a film that nobody would ever see in my lifetime." I had the unfortunate experience of seeing Snow White and the Huntsman in theaters. It cemented for me really how poor of an actress Kristen Stewart is. But she wasn't the only problem with that film. The writing was really bad, and the CGI wasn't the best either. The best part of that movie, however, was Chris Hemsworth as the Huntsman. He at least added some life and energy to the dullness of the film. But when I heard they were doing a spin-off of the Huntsman character, a prequel, I wasn't all for it. Sure Hemsworth was the best part of Snow White, but I didn't want any kind of continuation of that franchise whatsoever. However, with the casting of Emily Blunt, Jessica Chastain and the return of Charlize Theorn, my interest in the project grew. So when a trailer for The Huntsman: Winter's War (which is a stupid title) was released online, I checked it out. And I'm glad I did. Before a couple days ago, I had never heard of Gods of Egypt. I saw there were some posters for some Gerard Butler movie, but I knew nothing about the film itself. Then I saw there was a trailer for the movie, so I thought I might as well check it out. I had no expectations, yet this trailer was still below my expectations. This movie looks awful. The same warning signs that went off with Jupiter Ascending or other CGI-fest crap bombs went off when I watched this trailer. This just looks like a boring, stupid film that wants to be Exodus: Gods and Kings but isn't going to be half as good, despite that film being awful. Melissa McCarthy is one of the top female comedians working in film today. Aside from Tammy, she has been knocking every one of her films out of the park. This summer she starred in Spy, which was not only met with a positive critical response, but did fairly well at the box office as well. McCarthy goes against everything a leading female is supposed to be, and that's something Hollywood really needs right now. She's a bankable star with monumental success. So when I saw that the trailer for her new film, The Boss, had been released, I eagerly checked it out. I actually only saw Zoolander for the first time a few months ago. 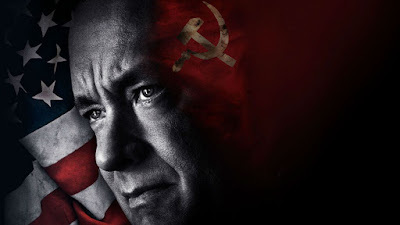 I had heard great things about the film, but I had never gotten around to watching it. So I saw it, and I thought it was great! The humor was spot on, and it was just a very enjoyable film. So I was definitely excited by the prospect of a sequel. To see Ben Stiller, Owen Wilson and Will Ferrell all return for another outing would be exciting. The first teaser for Zoolander 2 came out a little while ago, and I thought it was good. It didn't blow me away, but I thought it was good. But I was waiting for our first real, full length trailer. And now, we have that official trailer. In its opening weekend, Spectre came in first place. The film burst out of the gate, making close to $300 million in its opening weekend. The numbers look really promising for this movie, and I think it will crack $1 billion, similar to its predecessor Skyfall. However, I did expect its opening weekend domestic numbers to be higher. I was think more along the lines of $100 million. Skyfall made $88 million in its opening weekend, so I'm sure the studio is upset that Spectre didn't come closer to those numbers. But still, $300 million worldwide is something to celebrate. And like I said, I'm sure Spectre will cross $1 billion worldwide in the end. 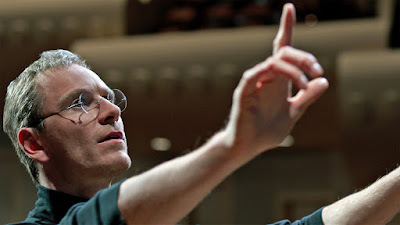 You can read my review for the film here, as well as my review for Casino Royale and Skyfallhere. In preparation for the release of Spectre this weekend, I watched Casino Royale and Skyfall, which you can read my reviews for here. 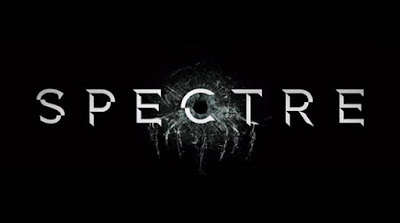 I enjoyed the films, so I was really looking forward to seeing Spectre in theaters. 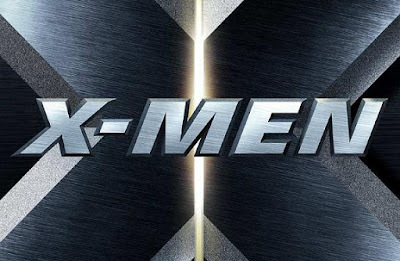 However, I had heard mixed reviews about the film prior to its release, so I was tentative about the movie. Maybe it wouldn't be the greatest thing ever, but at least it would be fun. In the end, I was glad that I checked my expectations, because it allowed me to enjoy the film even more. Spectre may not be Daniel Craig's best Bond movie, but it is a very solid entry into the ultimate spy franchise. The third and final trailer for Star Wars Episode VII: The Force Awakens (which you can see here) was released recently and got everyone excited for the upcoming film. It was filled with new footage, and gave us our first look at the story, as well as a lot of new characters. But with the release of the trailer came the conformation that it would be the last trailer for the film. This was both a good and bad thing. It was good that we wouldn't be over-saturated with Star Wars, and that there would be plenty of surprises left for us to experience in the theater. It was also bad, as everyone is on the edge of their seat waiting for the tiniest glimpse of new footage. But I was content with the final trailer. It was a really good trailer, and I bought my tickets and was ready. And now, LucasFilm has unexpectedly blessed us with the international trailer, which is filled with new footage.